We offer the widest range of A Level and vocational courses, at different levels, so take a look at what is available to suit you. 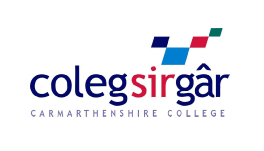 Coleg Sir Gar is a college of further and higher education based in Carmarthenshire in south west Wales. The college has five campuses within the county: Llanelli (Graig Campus); Ammanford; Llandeilo (Gelli Aur Campus); Carmarthen (Pibwrlwyd campus); Carmarthen (Jobswell Campus). Generally, courses are located on a single campus where the relevant resources are available. For instance, all construction courses are located at the Ammanford Campus. In a small number of cases courses may be available on more than one campus, hairdressing and beauty therapy courses for instance are delivered at both Pibwrlwyd and Graig Campuses. The campus profiles on the website will provide you with full details of the location of all of our courses.